Numerous examples exist where teams and organizations perform at a high level only to see performance decrease over time. This phenomenon can be observed in manufacturing and engineering organizations where teams provide value to organizations through the use of tools, processes, and procedures to address customer needs. The rapid acceleration of digital innovations aimed at making teams more effective have actually compounded these problems by increasing the complexity of a task while ignoring the capability of the team to harness these new tools. The aim of this paper is to provide managers with a theoretical analysis of how sociotechnical interactions influence team and organizational performance within a larger context of environmental demands. This paper will propose a team process capability model to explain how dynamic social and technical interactions coupled with organizational decision-making influence team and organizational performance. The model will illustrate how team social and technical system interactions are influenced by managerial decisions which subsequently influences its performance. 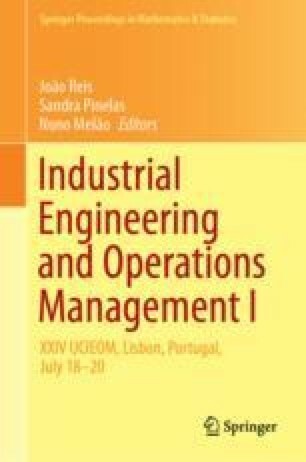 The concept of requisite process capability will be introduced to the reader within the context of resiliency factors such as dynamic capability and environmental uncertainty. Academic readers can benefit from this paper through applying the concepts within this paper to future research related to sociotechnical and organizational interactions. Managers can use the information shared in this paper to improve his or her understanding of how team performance is influenced by such systemic changes as digital and technical innovations or system complexity.